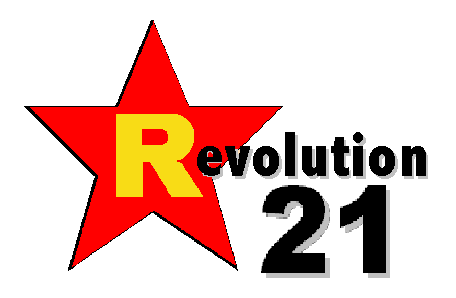 Revolution 21's Blog for the People: Trump's Amerika . . . prophesied by ABC? A fascistic American president goes rogue, decides to nuke Pakistan. Now watch as prime-time TV of a few years ago meets a superpower that's going absolutely mad right now -- just in time to turn a roomful of television writers, circa 2012, into postmodern Nostradamuses, circa 2016. Realizing they've been declared enemies of their own country, the Colorado seeks refuge on the island of Sainte Marina (a fictional French island located in the Indian Ocean) and commandeer a NATO communications and missile warning facility. When a pair of B-1 bombers is sent to attack the submarine and island, Chaplin launches a Trident nuclear missile towards Washington, D.C. to impress upon the national leadership that he's serious. The B-1s turn away at the last minute, but Chaplin (who has altered the missile's final target coordinates) allows the missile to visibly overfly Washington, D.C. and explode 200 miles beyond in the open Atlantic, the explosion clearly visible from both Washington and New York City. Via a television feed to the media, he then declares a 200-mile exclusion zone around Sainte Marina. Now, the crew must find a way to prove their innocence and find out who in the U.S. government has set them up, so they can finally return home. OURS IS an age of signs and wonders. Mostly signs, and prophecy can turn up in unlikely places. Like prime-time network TV. Last Resort, which ran for just one season, was one of my favorite TV shows -- never missed it, and every episode kept you on the edge of your seat. And every episode, I kept thinking "This could happen. We are so close to this really happening." Now that crypto-fascist, loose-cannon Donald Trump will be the Republican nominee for president, we are close enough to TV-show-as-prophetic-voice that I am getting nervous. I am scared s***less. Donald Trump is a racist, unhinged, authoritarian thug -- one who has repeatedly espoused violence at home and abroad, advocates torture and other war crimes, and who says he just might go nuclear in the Middle East and maybe even Europe -- and that's just fine by about half of America. The United States as a constitutional, democratic republic is dying before our eyes, and it is not shaping up to be a peaceful end. We have enough nuclear warheads and bombs to end life on Earth several times over . . . and a petulant, unstable know-nothing has an even shot at winning the "nuclear briefcase." IF YOU want to do some election-year political research, buy the 13 episodes of Last Resort. They may well be one of the most prescient previews of a Trump administration that you'll find. Make sure you have extra underwear. Labels: 2012, ABC, creeping fascism, Donald Trump, GOP, Last Resort, media, nuclear war, politics, presidential election, prophecy, Republican, television, TV, Washington D.C.